I found this pair on a viburnum in my backyard. 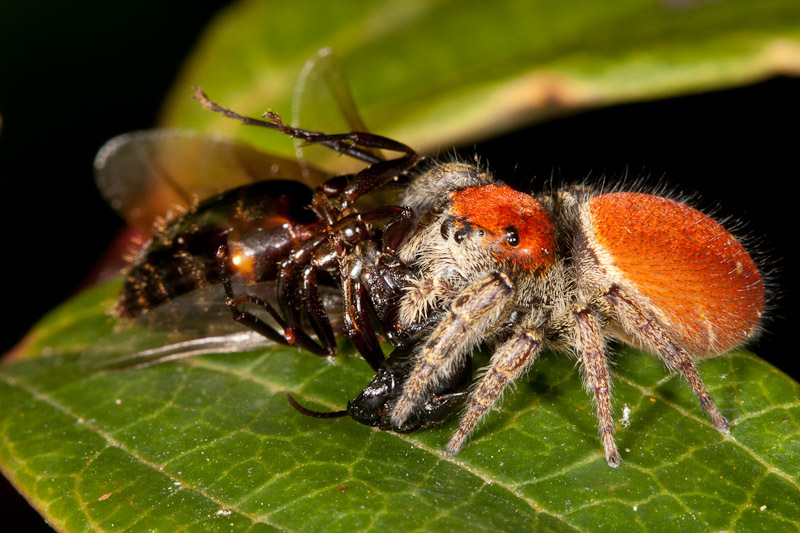 What looks like a male Phidippus whitmani has subdued what I assume is a winged reproductive carpenter ant. I didn’t notice while I was taking pictures, but while reviewing them I saw that a little fly arrived to share in the spoils. 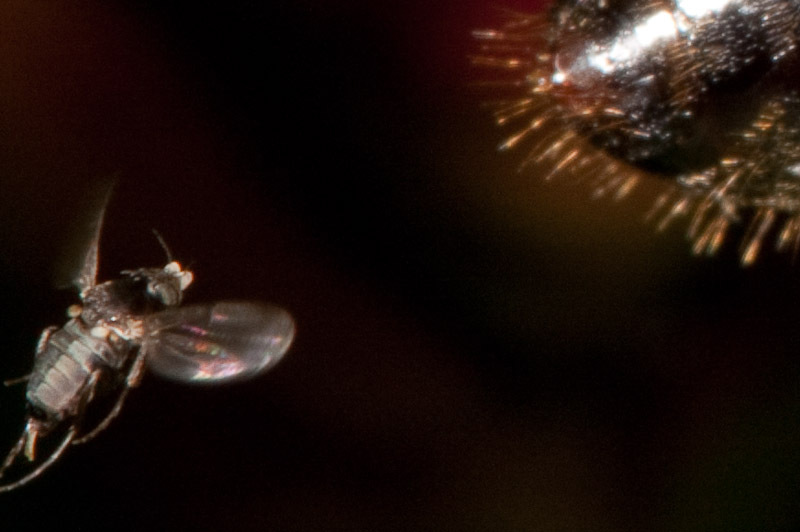 The tiny approaching critter is a female scuttle fly (Phoridae). 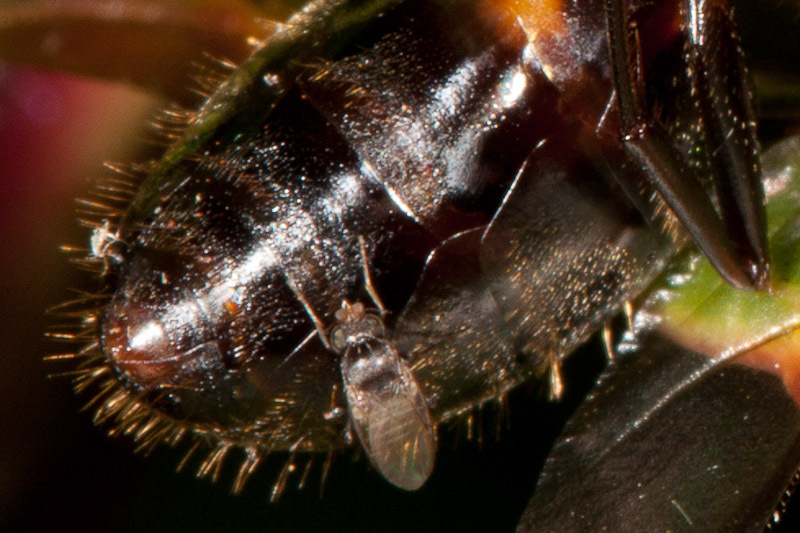 The behavior and the prominent ovipositor reminds me of the so called “ant-decapitating flies” (Apocephalus).